We’re back at it again—today is #littlelitbookseries, the poetry edition. Having taken a poetics course years ago at the University of Barcelona, I am in awe of the linguistic artistry that is poetry. It is truly an art form. 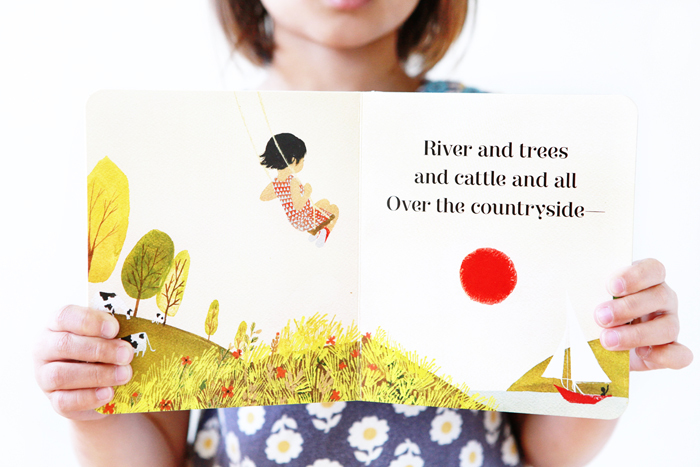 Robert Louis Stevenson’s classic poem The Swing was published awhile back as a board book and was illustrated by the incomparable Julie Morstad. Her pictures have an enchanting beauty and litheness about them, and maybe that’s why they embody the wonder of childhood so deftly. Wander over to these dreamy accounts and check out their poetic picks for #littlelitbookseries on Instagram.